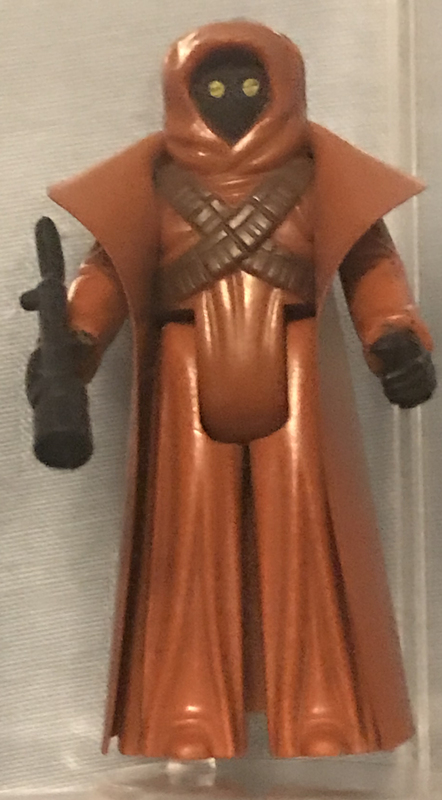 Most fans of Star Wars figures have heard of the Vinyl Cape Jawa and some of the story behind the switch to the more common cloth cape. This week, fellow collector Shane Turgeon uncovered a real gem which became local news in his hometown of Edmonton, Canada which is a fun inspiration for this article. 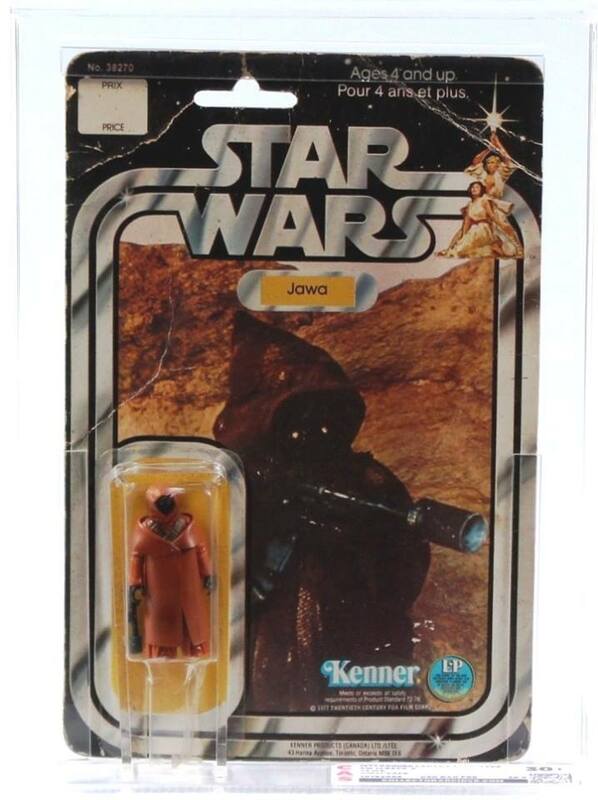 The vinyl cape Jawa was probably the last of the first 12 figures to be released by Kenner and originally featured a cape, but did you know it was originally intended to have no cape at all? 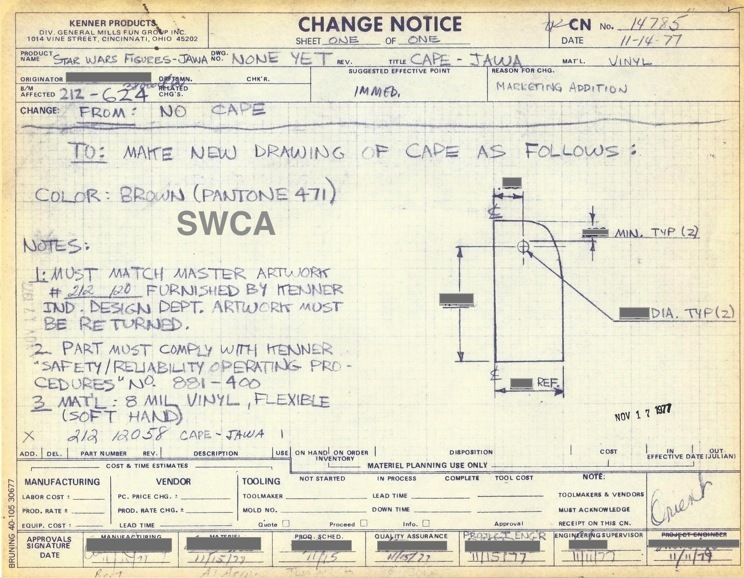 This fascinating document which was unearthed by Ross Cuddie clearly shows that the Jawa was modified before release to add the cape for marketing purposes – in other words to give value for money. However, despite the addition it was still deemed to be too cheap looking and the more common cloth cape was issued. Today, good condition loose vinyl cape Jawas sell for around the £800 mark with graded ones selling for £1200+. They are often described as rare. However, they come up for sale in regular numbers so I’m not sure I accept this term. 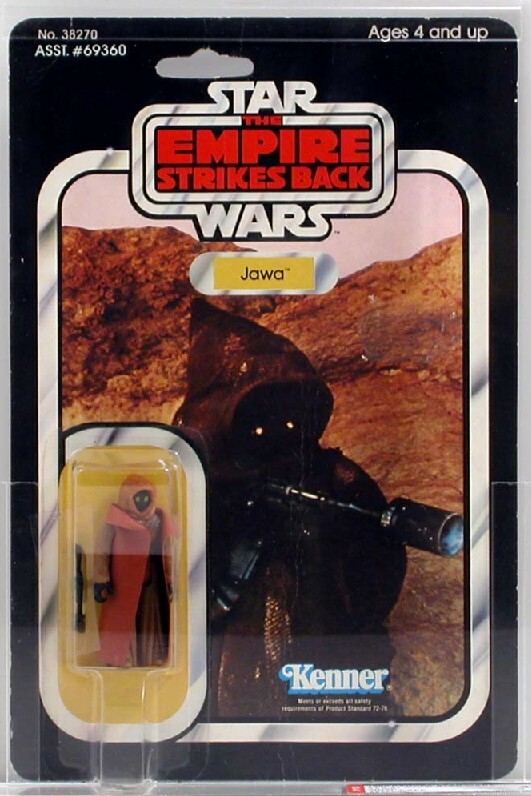 Please be aware that there are lots of fake loose and carded vinyl cape Jawas on the market and if you’re not sure seek advice before spending lots of cash. 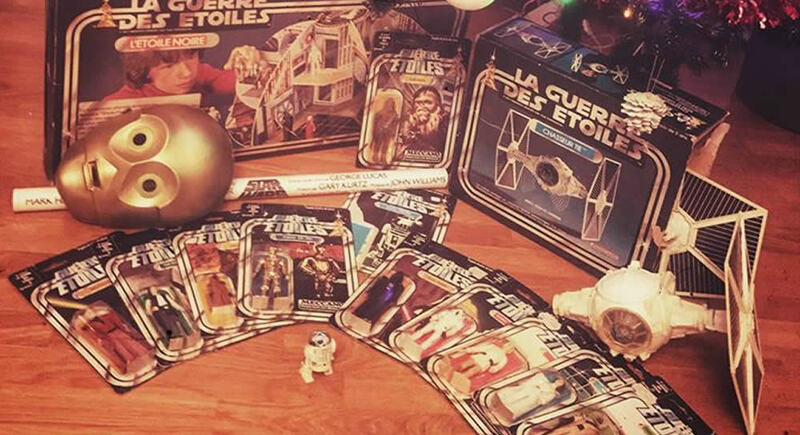 I will however accept that carded ones are rare and especially some of the non-Kenner items! 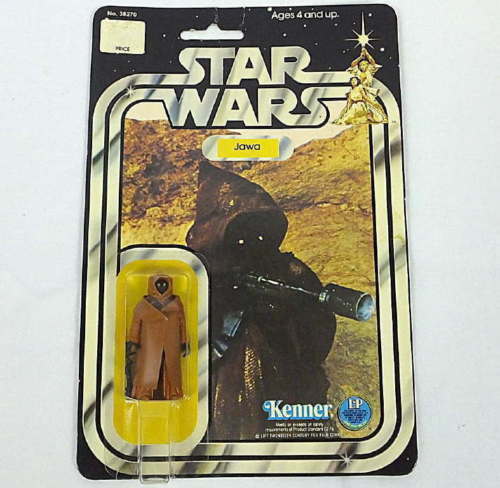 Here is a shot of a Kenner 12 back Jawa. This one, creased and with missing proof of purchase on the reverse, sold on ebay 18 months ago for around £5000. They are extremely sought after and many collectors won’t consider their collections complete until they own one. With a little patience and networking, and a lot of money, Kenner carded vinyl cape Jawas are not tough to acquire. 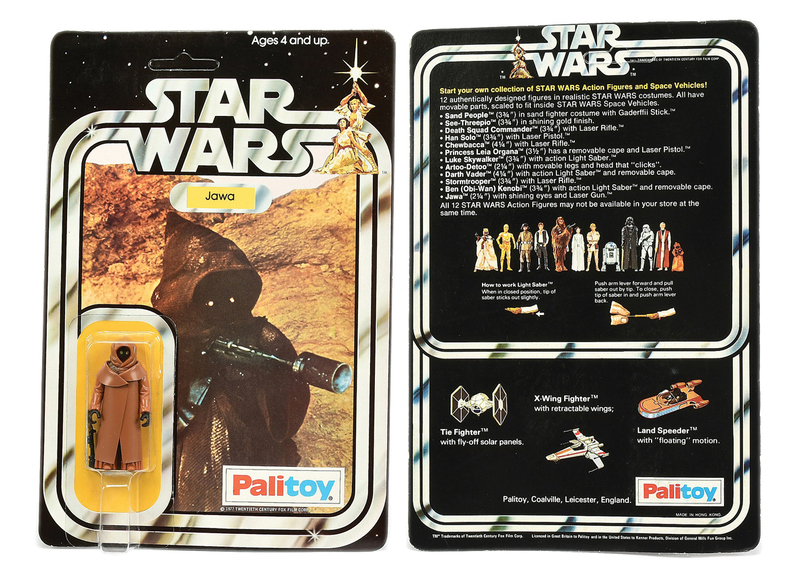 The Palitoy vinyl cape Jawa’s existence was disputed for years. Some collectors argued for a long time that they owned one as a child and it wasn’t until recently that they were accepted. I believe that the number of these known to exist is currently in the mid single digits. This one sold at Vectis Auctions for £18,000. 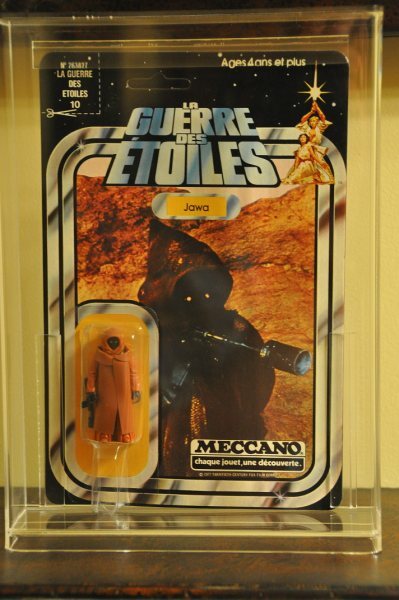 The Meccano vinyl cape Jawa surfaced and was accepted before the Palitoy one way back in 2010. It gave great hope that the Palitoy ones would surface at some point which of course they did. I have never seen one of these publicly for sale and they are rumoured to exist in their mid single digits. Over in Australia there is a bit of an oddity. Their capes are made of a thicker and darker material but that’s not the big surprise. These Jawas can be found on Empire Strikes Back cards! I’ve not seen one publicly for sale for many years but loose ones are hitting £1500 now so who knows what you’re looking at. There could be as few as 3 of them known and for many years collectors assumed these were not legit. 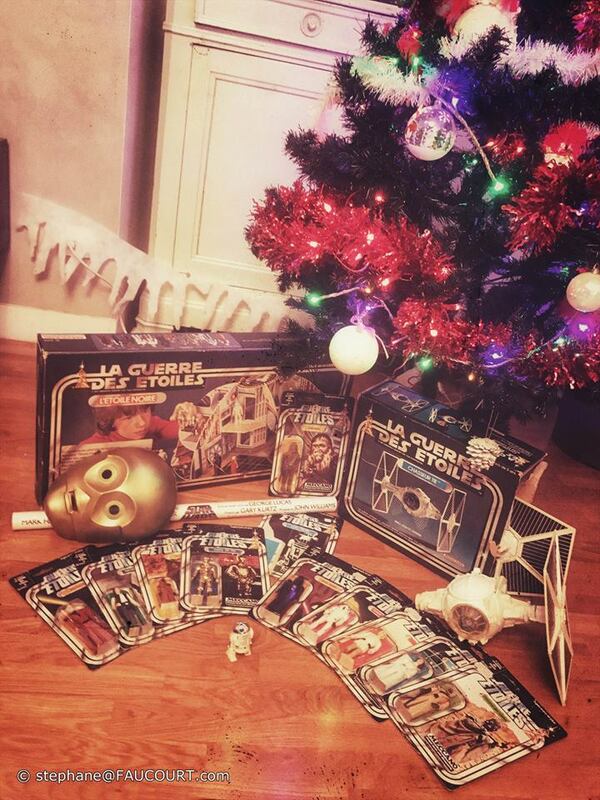 Great work from Ben Sheehan has given as much credibility to these as collectors are likely to get 40 years later. And finally we come to one that you can own, for around £25,000. A true beauty, a rare opportunity and one of about six known to exist. Shane Turgeon can be contacted easily on Facebook and is a 100% reliable seller.